Spinal decompression therapy involves relieving pressure on parts of the spine that are causing pain. This nonsurgical method of treatment is used to treat neck or back pain associated with different spinal problems. Patients who are experiencing ongoing back or neck pain that does not respond to conventional forms of treatment might find relief through decompression. 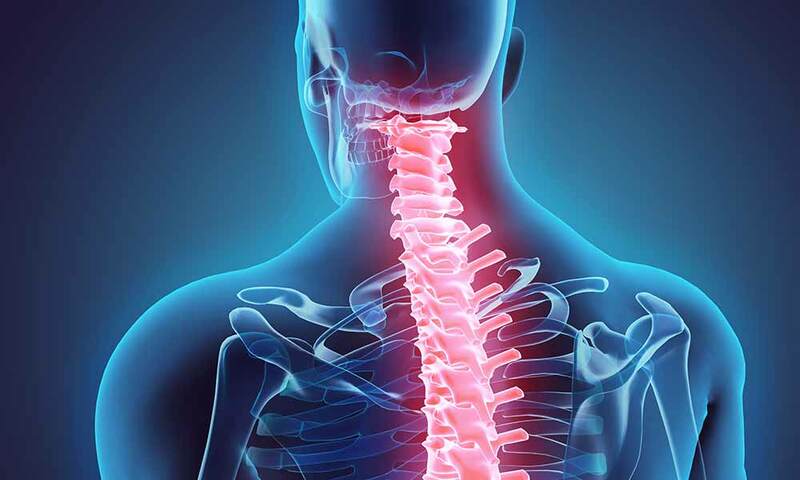 It also offers a nonsurgical alternative to surgical spinal decompression, which is associated with potentially serious risks, such as infection or excessive bleeding. Patients who undergo this treatment method wear a harness around their hips while lying on a motorized table. The harness attaches to the bottom part of the table, which moves back and forth in order to stretch the spine and relieve pressure. A practitioner controls the table's movements and adjusts them based on the patient's needs. The top part of the table stays in place while the bottom part moves. Patients remain fully clothed during this treatment session, which typically lasts for 30 to 45 minutes at a time. This form of spinal treatment helps ease pressure on spinal disks, which can help relieve soreness caused by conditions such as bulging disks or herniated disks. It does so by applying negative pressure on affected disks, which causes them to retract or move into a more comfortable position. This lower amount of pressure might also relieve spinal pain by allowing nutrients, oxygen and water to enter the affected disks and help them heal. Spinal decompression can be used to treat several types of spinal conditions that cause pain. In addition to bulging and herniated disks, this type of therapy is sometimes used to treat sciatica, deteriorated spinal joints and damaged or diseased nerve roots in the spine. Spinal decompression therapy usually involves undergoing a between 15 to 30 sessions. These sessions are typically done over a period of four to six weeks. Although this form of treatment can ease back pain, it is not suitable for all patients. Those with spinal fractures, severe cases of osteoporosis, metal spine implants or tumors should not undergo this treatment. Pregnant women are also usually not considered good candidates for this due to the lack of research on the effects of decompression during pregnancy. Patients with certain conditions, such as spinal infections, ankylosing spondylitis or spinal stenosis, are usually not good candidates for this type of decompression. This form of treatment for spine problems can effectively reduce pain and soreness in the spine. In some cases, patients might also have additional treatment methods, such as heat therapy or electric stimulation, done during sessions or after them. In order to improve the effectiveness of decompression, patients might also be asked to do strengthening exercises, drink plenty of water and rest. To find out more about how Spinal Decompression can help you, call us at (708) 385-4416 and schedule an appointment today.